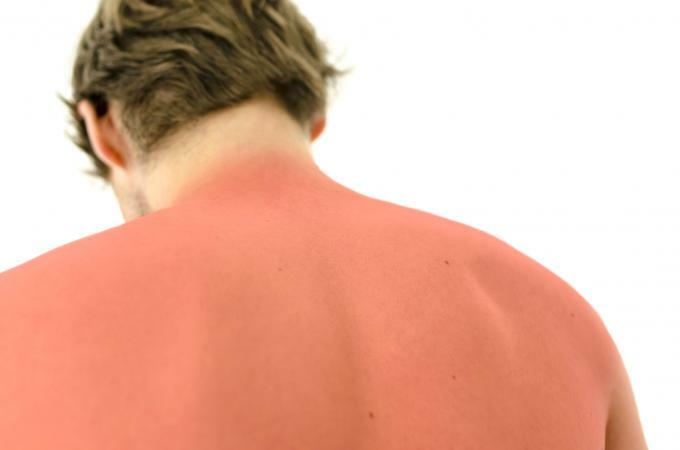 To answer the question of how long a sunburn lasts, several factors must be considered. Things like the severity of the burn, treatment methods, and your complexion all come into play. They determine how long you will suffer the after effects of the sun. Taking care of your skin is essential, especially when it comes to sun exposure. There are many dangers of sunburns, including premature aging, dehydration, and cancer. It is important to use (and reapply) sunscreen throughout the day to prevent these issues. However, despite your best efforts, a sunburn is bound to happen at one time or another. Whether the sunburn is mild or severe, there is no cure for it. Time will eventually heal the skin. In the meantime, you can take steps to relieve the discomfort. 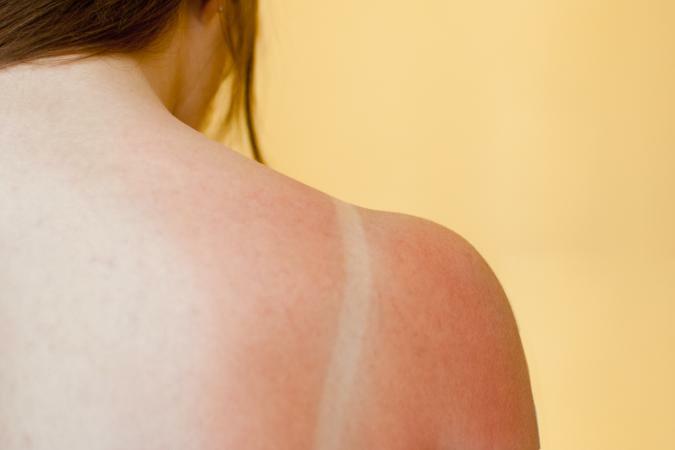 If you have a mild sunburn, you will notice redness and some degree of pain. Typically, you'll see and feel the effects six hours after sun exposure. According to the article, "Sunburn: A-to-Z Guide from Diagnosis to Treatment to Prevention," a mild sunburn can last anywhere from three to five days. During that time, your skin may begin to peel in the burned area. This occurs because new cells are developing and will eventually replace the damaged skin. You are unlikely to miss out on school or work with a mild burn. A moderate sunburn is more painful and may have you reaching for over-the-counter pain medications, such as aloe vera gel or Solarcaine. This type of burn will last a few days longer than a mild burn, typically for a week or so. During this time, the skin will be red, painful, and hot to the touch. For sunburn relief, simply use cool compresses and take lukewarm baths. Products containing vitamin E and aloe can also help soothe irritated skin. According to a story on ABC on Sunburn Pain, sunburn relief creams that contain menthol can also help. While some people will be able to work through the discomfort of a moderate burn, others may find themselves taking time off. It depends on the sensitivity of the skin and whether or not other symptoms (such as headaches, nausea, or blisters) are present. It can also result in heat stroke or heat exhaustion. These types of burns typically last for a couple of weeks. Even if you aren't hospitalized, you are likely to miss out on routine activities. Once the sting of the initial burn has faded, the skin still has to continue the healing process. The skin may continue to peel for several days or weeks, depending on the level of burn. According to Dr. Susan C. Taylor in Summer Sunburn 101 on Today.com, complete healing can take between six and ten weeks. To treat peeling skin, Dr. Taylor suggests removing the skin very gently with lukewarm baths and soft washcloths or disposable cleansing cloths. During this time it's essential to protect the skin from the sun as a sunburn can occur very easily on the damaged skin. Not all sunburns last for the same amount of time. There are a number of factors that can impact the longevity of a burn. Everyone has a different reaction to the sun. While one person may be able to stay outdoors for hours on end without being burned, another may feel the effects after a short period of time. It all has to do with your skin type. People with fair skin are more likely to experience a burn than someone with naturally darker skin. This is because melanin protects the skin against UV damage - and light skin does not have as much. Other factors that impact the duration of a sunburn are the time of day you went outside as well as the location. Between the hours of 10am and 3pm, you have a higher chance of experiencing a severe burn as this is when the sun is most intense. There are also locations that put you at a higher risk. The article "World's Worst Places To Get a Sunburn (And How To Prevent Them)" lists cities with high altitudes, ozone holes, and heavy winds that make you more likely to burn. Being outdoors for a significant amount of time can wreak havoc on the skin, even if you do not tend to burn quickly. It may not manifest in a bright red burn, however, long-term sun exposure can impact the skin and the way it heals. Dermatologists have also found that brief sun exposure (walking to the car, being at an outdoor mall, and so on) can cause damage to people with fair skin, increasing their risk of a burn and of developing squamous cell cancer. Even if it is cloudy outside and there is a cool breeze, your skin can still be at risk. UV rays pass through - and reflect off - clouds, which may result in a severe burn, especially if your skin is unprotected. Additionally, wind and cool breezes minimize the immediate effects of a sunburn. You not experience symptoms right away which means more time will be spent in the sun. Although the physical effects will eventually fade, a sunburn actually lasts a lifetime. The effects are cumulative and may affect you later on in life, particularly if you suffered a few bad sunburns while young. Age spots, wrinkles and other signs of premature aging can all be caused by too much sun, as can skin cancer. Thankfully, there are ways to enjoy the outdoors. Take steps to prevent burns by educating yourself, applying sunscreen daily, and practicing smart skin care. Using sunscreen is important not only to avoid a sunburn, but to decrease the risk of skin cancer. Preventing a burn is the best way to stay healthy and escape the painful symptoms of too much sun exposure.